It’s Marketing. We know that you’re having just the tiniest bit of trouble understanding what exactly it is we do over here. Rumors are circulating that you think we sit at our desks tweeting all day. So we feel we should clear that up for you and show you exactly what we’ve been up to while you’ve been making phone calls all day. Please enjoy the following reports and feel free to come to us for all of your analytics needs. The strained relationship between Sales and Marketing outlined in this letter might sound familiar to you. Many organizations face this problem. But if Sales and Marketing can work together to open up lines of communication, the growth possibilities are endless. In order for a sales leader to better understand what Marketing does, Marketing should provide reports that give insights on various marketing activities and how they relate to the sales process. Here are the top 3 Marketing reports to share with sales leaders to enable Smarketing. In this report, the number of visits, leads, and customers that have been generated through various marketing channels are showcased. For example, in this graphic below, you can see that the number of customers generated by sources such as paid search, organic search, social media, email marketing, etc. are shown. This type of report enables Sales to better understand where their leads are coming from and enables them with insights they can leverage in the sales process. 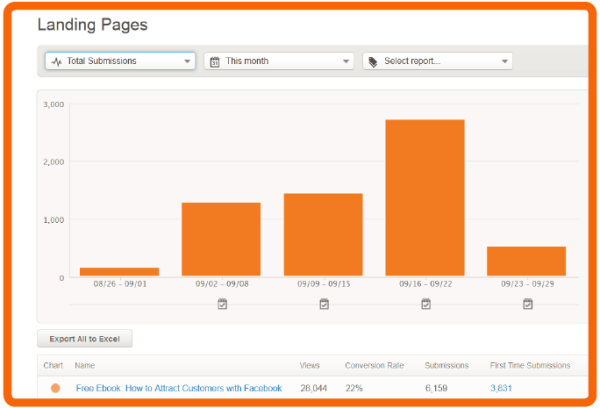 In this example, the majority of customers came from direct traffic. This graph shows how long it takes for a sales rep to follow up with a lead. This information is important because it gives both Marketing and Sales information about how quickly the sales process is converting leads into customers. It enables both teams to work on strategies to shorten the sales process. Just to prove that what they do works, Marketing can use this graph to show Sales the success rates of their marketing assets. 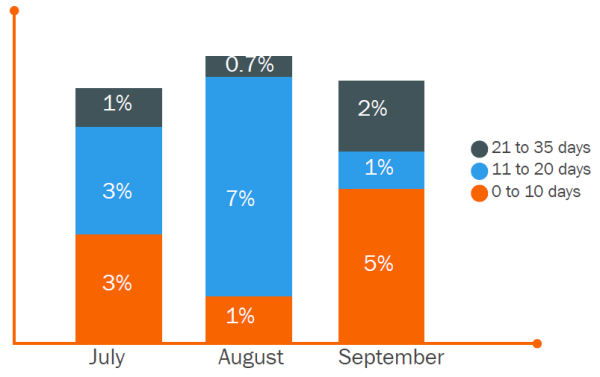 For example, this graph shows the weekly conversion of landing pages. Armed with this information, Marketing tweaks their strategy to convert more leads. Sales learns that landing pages (or other assets) are working to convert their leads. They appreciate the marketing process much more when they’re able to see that it’s working. 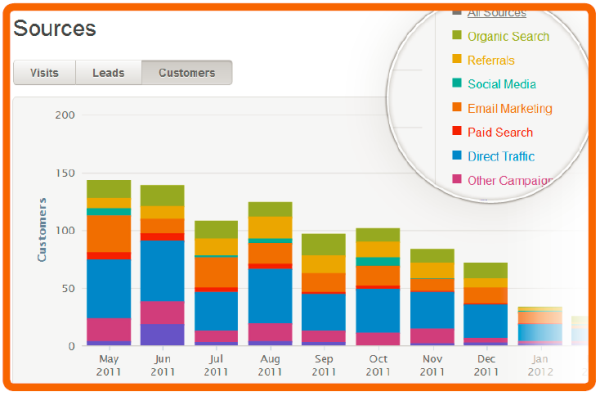 These Marketing reports give Sales insights that help enable Smarketing. They demonstrate that Marketing activities work to enable the sales process. Not to mention they prove that Marketing isn’t just tweeting all day. Get your Sales and Marketing teams in the habit of sharing valuable insights to better understand each other’s roles. Download the eBook below to learn how sales prospecting is enabled by Marketing.